Who knew?! I have probably passed up 20+ sets of those this summer at all the richy rich houses holding garage sales! I will definitely be on the lookout from now on though, thanks for the tip Dude! Starbucks mugs and Character plush stuffed animals have seemed to be my plain sight finds this year, who knows what next summer will hold, I already can't wait for those eager spring cleaning sales! 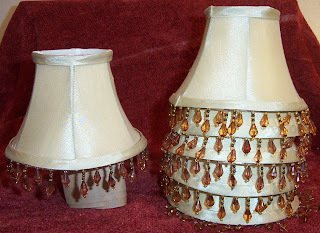 Samantha-The Richy Rich homes are a veritable mini-lamp shade factory,along with other good $tuff! Seek and ye shall find, right? Ha! Thanks for the Starbucks mug tip, I'll be looking for them. Plush stuffed toys are interesting. I'll have to look them up and see what sells for the most. If you had some good plush toy scores, let us know what characters to look for. Thanks for passing along your excellent tips.....Dude! My best plush score to date was earlier this month & it was a large Balto dog from the 90's movie Balto. I picked him up at a church sale with a TON of other items that I paid a total of $4 for and he sold the very next week for $149.99! I always look out for characters that aren't very common or were popular a while ago like ALF! I always pick up Alf if I find him! My last one sold to someone in Sweden for $33 + shipping! $150? That's great. Who would think on a plush toy right? I've heard Alf is a big seller...and huge in Sweden-Ha! Thanks for passing those plush toy tips along. They're on my list now....Dude! Great tips, thank you for sharing. I'm just starting out...I have sold some of our "treasures" on eBay but haven't gone out to garage sales and looked for others. Thought it might be fun and could use the extra money of course. I will definitely be on the look out for mini shades now. Stefanie-Thanks for checking in. You'll find it's pretty cool doing this. It's the thrill of the hunt, combined with treasure hunting and sometimes hitting the eBay lottery! Let me know when you make an awesome score....Dude! I'd just bought some mini lamp shades at a yard sale right before reading this so I was pretty proud of myself for buying them (especially since they caught my eye as I was leaving and I went back for them)! My auction recently ended, and I was definitely pretty proud of myself for tripling my investment! Great blog! Nice job! I am glad you were able to triple your money, that's what it's all about! 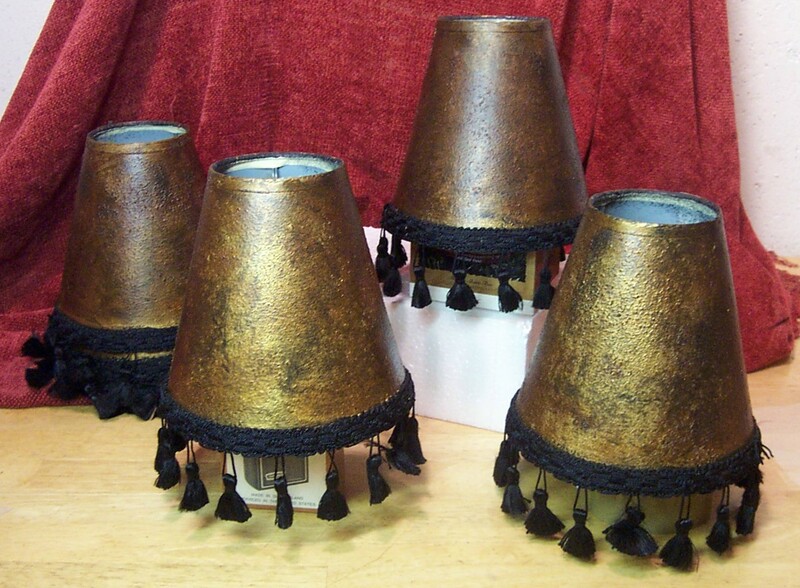 There's something about mini-lamp shades-people just gotta have them!